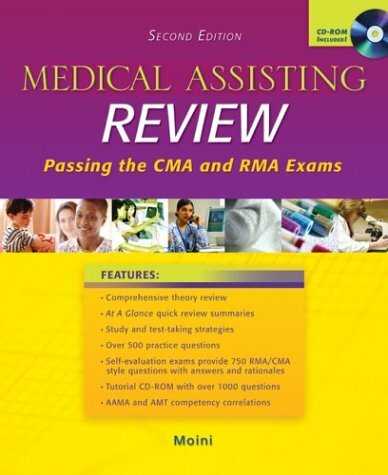 prepares students to take the CMA or RMA exam with easy-to-read essential material summaries that highlight key areas of the major clinical and administrative parts of a Medical Assistant's program. 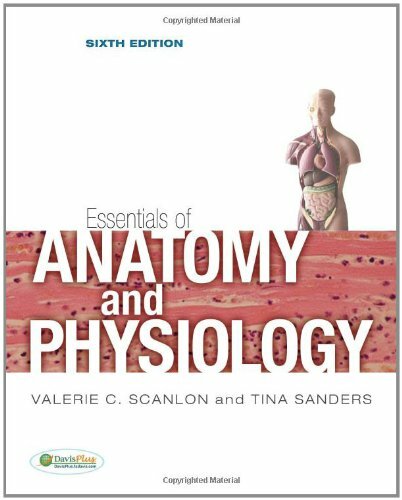 Each of the 22 chapters includes a series of 20 to 30 multiple choice quiz questions and a concise outline of key information. 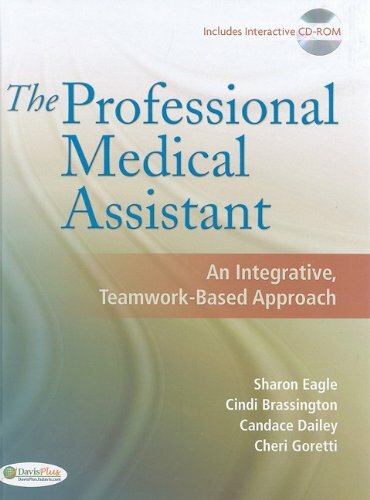 The CD-ROM included free in each book provides more than 1500 sample review questions as well as a PowerPoint presentation for additional student review. The review questions include rationales for answers and correlations to certification competencies. 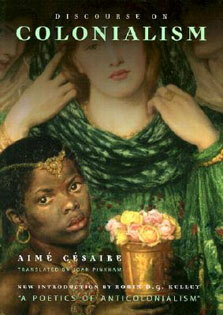 There is also a correlation to the textbook location where the information is covered.